Everyone is welcome at First Presbyterian Church! Whether you are brand new to faith in Christ or are a long-time believer, we welcome you to join us at First Presbyterian Church! Guests and members will be provided with a worship bulletin that will guide you through our worship service. Hymnals and Bibles are located in each pew. Those worshiping with us for the first time will be asked to sign the friendship register and to include your address and contact information so that we may acknowledge your visit. Ushers are also available to provide assistance to our visitors. In addition to worship, we invite visitors to join us for Sunday School at 9:45 a.m. Coffee and donuts are available in Shuler Hall each Sunday morning following Sunday School. Shuler Hall is located in the Van Arnold Education Building, across the street from the church sanctuary at the intersection of Washington Street and Main Street. 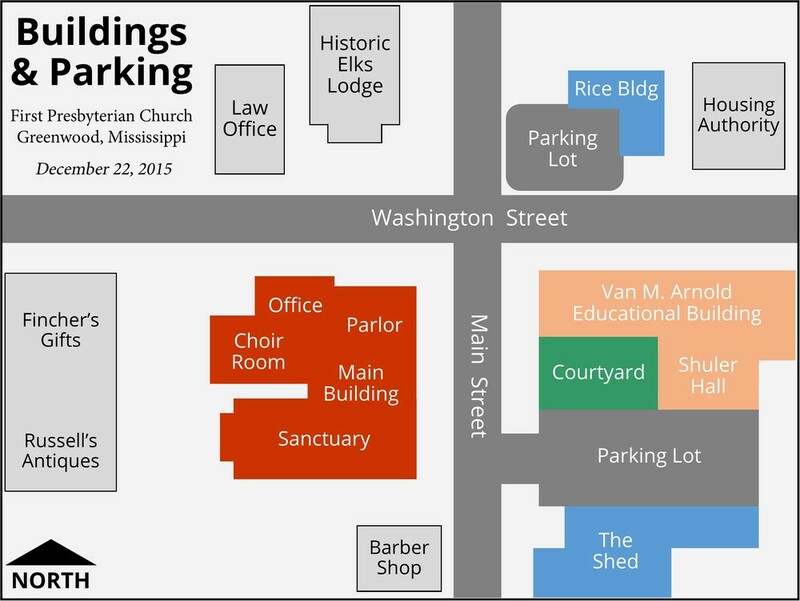 Free public parking is available along Main Street and Washington Street, and in the parking lot across the street from the Van Arnold Education Building on the southeast corner of Washington and Main Street. The entrance the sanctuary is 300 Main Street. Handicap parking spaces are available on Main Street directly in front of the sanctuary entrance door.